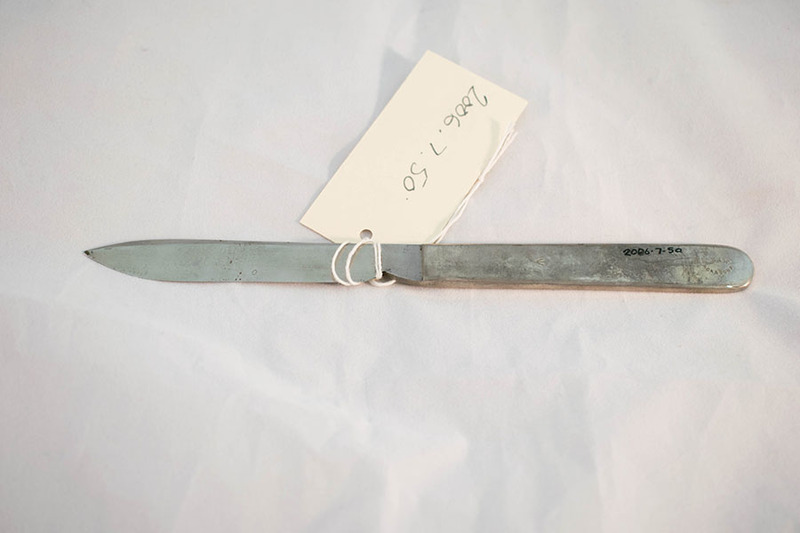 Single "4 inch" scalpel forged from solid nickel steel. 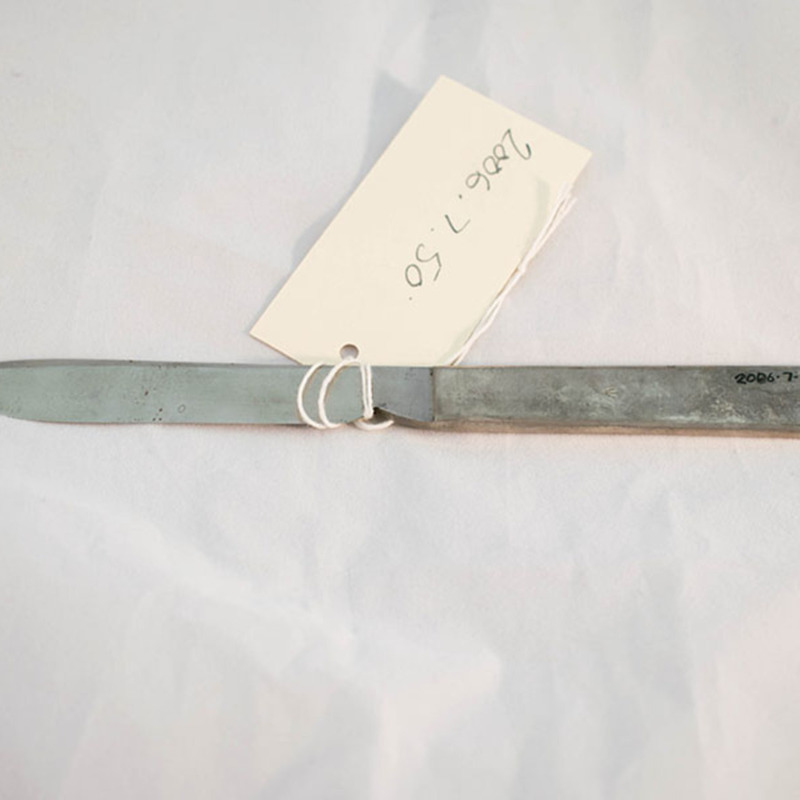 “Breast knife (scalpel),” Heritage, accessed April 20, 2019, https://heritage.rcpsg.ac.uk/items/show/489. Description: Single "4 inch" scalpel forged from solid nickel steel.